If you didn’t already know, I went to UCLA and am a very proud Bruin. I especially love the fact that many Bruin athletes go on to being professional and I can keep tabs on them, even though I’m not known as an avid sports watcher. 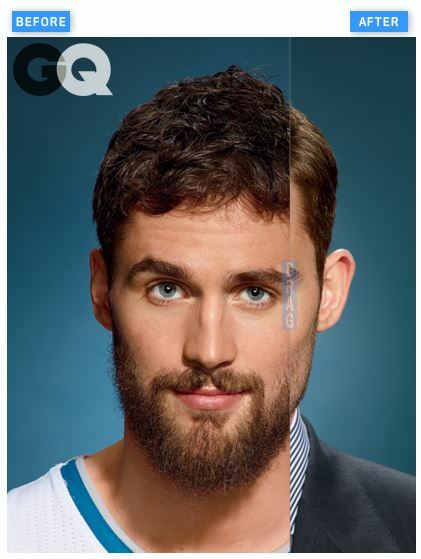 GQ just featured Kevin Love, not so much on his athletic ability but more so on his looks. They took a before picture of him with a beard and un-styled hair, and after with the exact opposite, and as the title says…DAYUM. Go to GQ to check out the interactive picture, and I’m pretty sure you’ll slide the slider thingy many, many times. This entry was posted in Sports and tagged basketball, beard, gq, grooming, kevin love, style. Bookmark the permalink.